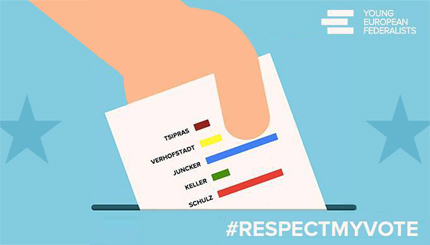 Don’t vote – Europe is perfect! 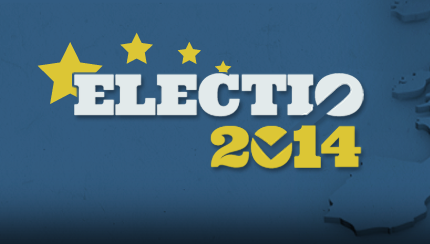 Home Elections news Don’t vote – Europe is perfect! The Young European Federalists has just finished its Federal Committee meeting in Cambridge, United Kingdom. There was broad consensus among the participants that Europe really doesn’t face any challenges, and the youth should therefore stay at home instead of going to the polls. I was looking forward to the elections, but I see the points made by JEF, and I am willing to change our project to keep youngsters away from the polls instead – says project manager Espen Berg-Larsen for the JEF Elections campaign. The problems related to youth unemployment can’t be that bad, you see young people in the shops all the time. Roaming charges in the EU are low enough, it is important to secure revenues for the big telecompanies as well. There are no serious problems related to migration. We don’t need to improve financial regulations, banks can regulate their own markets. The Euro is worthless, everything was much better when you could devaluate and pass the costs of bad governing to your neighbours. Climate change is an invention, we don’t need more climate justice. There is too much focus on minority rights – what about the rest of us? Erasmus and youth exchange only serves those who want to get drunk in another country – why should young people travel so much? There is no European media – so if the media doesn’t care, why should we? Knowing the leading candidates to the Commission presidency has taken away the “surprise element” when a new commission is appointed. Why pretend to be European when we know we will hate the others when the world cup kicks off in June. Democratic deficit is a hoax, we want Mr. Barroso to represent us in a third term. Finally we all agree that European Federalism is a utopia anyway. We need less cooperation in Europe – not more. 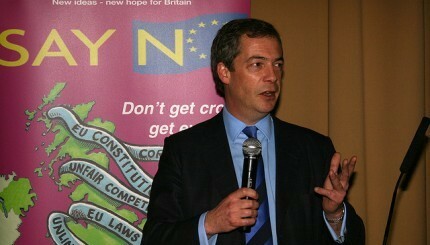 PS: Nigel Farage is really quite nice.